As promised, this is a video interview with the members of ACODA that couldn’t run away from me fast enough, as well exclusive video from their gig at Audio on Friday the 22nd of November. Apologies for sound quality; mics in close proximity to speakers don’t tend to fair well. When stereotyping an entire’s genre mood, Metal is often lumped in with Grunge; a lot of noise whirling round a nihilistic and numb core, a feeling of helplessness culminating in emotional angst. Not so with ACODA. Their latest album Yours to Defend explores various highs, lows and points of view. The (partial) title track, The Future is Yours To Defend showcases the distinction I’m talking about; this is a call to action, not disenfranchised contempt. It also catches so much of the essence of ACODA; a lot of metal thrash and vocal contortions, surrounding some beautiful melodic structures, riffs and chord progressions. 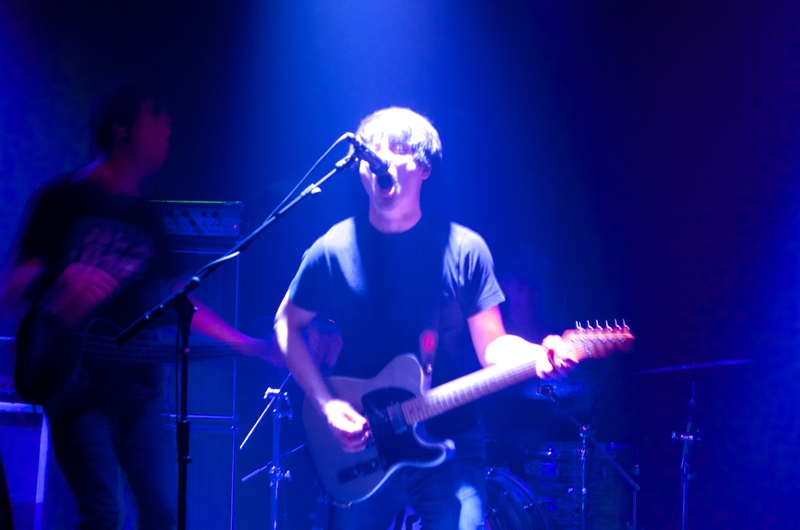 Stripped back, their songs would be welcome and venerated across the rock/indie scene to far greater profit; the fact they don’t shows a love for their chosen genre. Daws Heath at first sounds like it was dropped in by accident; a severe departure from the rest of the album, that has a slow burn and constant build. I have always contended heavy bands make the best ballads. You know they can turn it up to 11 when they need to, and it makes for a far greater emotional range in an album than a band that only works in sappy sentiment. Only five track EPs get away with positive-only criticism; Damon Tang can carry a note with strength or tenderness; sometimes it feels that the metal screams aren’t necessary to the songs. The diversity of their sound is quite wide-reaching; it will be hard to maintain that in the future as fan expectation and nailing that band defining sound become factors. 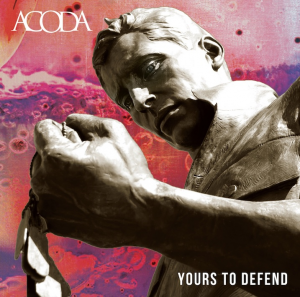 As a first album Yours to Defend is a well crafted showcase of ACODA. I recommend you buy it on [itunes link=”https://itunes.apple.com/gb/album/yours-to-defend/id717191730?uo=4″ title=”Yours to Defend”] and see the band at the next opportunity.